Winter Park Veterinary Hospital has been serving the Winter Park and greater Orlando community since 1955. 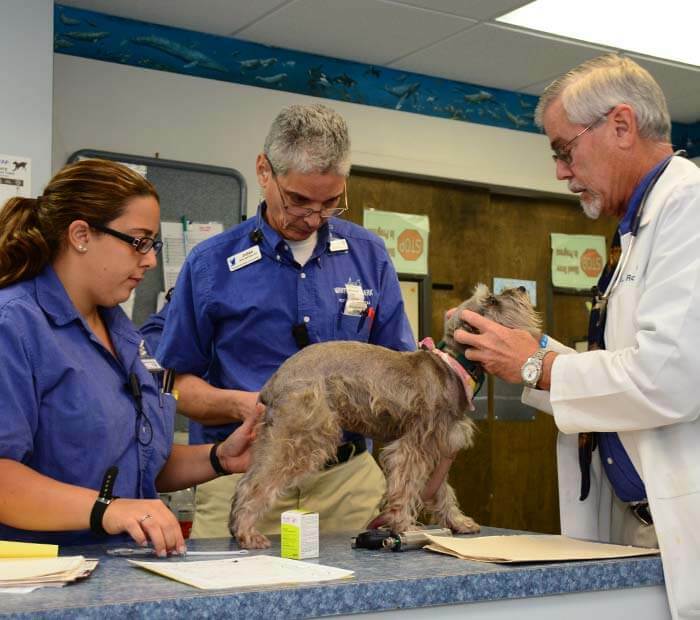 Dr Hess took over hospital operations in 1983 and began the birth of the modern Winter Park Veterinary Hospital. A large renovation in 2001 allowed the premises to finally match the quality of medicine at the hospital. Our state of the art hospital facilities incorporate over 8,000 square feet completely dedicated to the health and well-being of your pet. Dr. Hess has always had an incredible passion for animals and serving their needs with creative healing techniques. For example, Winter Park Veterinary Hospital hosted and Dr Hess administered the world's first online veterinary surgery in 2000 when he was the host of "Ask the Veterinarian" on America's Health Network. He has infused innovative skills and ideals into all aspects of the medicine and services offered every day at Winter Park Veterinary Hospital. Through the leadership, mentoring and training of Dr Hess, our doctors and staff are versatile, skilled and passionate about providing all our clients with the best medical care available for their extended pet family. Our passion for animal medicine extends deep into the animal kingdom. We often provide care to the birds and exotic animals at the major theme parks around the area from Disney to Universal Studios to Busch Gardens. Every day here at Winter Park Veterinary Hospital is an adventure. On any given day you may see a bald eagle, red tail hawk, tortoise, turtle, or even the occasional tiger or fish. Our expertise with exotics and avian pets brings a number of interesting creatures into our office. This helps our veterinarians and staff bring creative and innovative thinking and problem solving to our clients. Don't worry, we take every precaution to ensure safe treatment for these animals, our staff, and our clients. All exotics are pre-approved by Dr Hess to guarantee complete safety for all parties involved. Winter Park Veterinary Hospital has been the primary veterinary services provider for the Florida Audubon Society for over 25 years. Early in our service, Dr Hess developed a surgery to help Bald Eagles and other birds of prey overcome a lethal foot disease that was ravaging the population at a time when the Bald Eagle population was struggling to survive. The disease had almost always proved fatal and Dr Hess’ innovative technique led to national renown for our hospital. More importantly this technique saved the lives of many graceful and majestic birds. We maintain the belief that it is our duty to provide life-saving services to our friends in the wild. We look forward to seeing you at Winter Park Veterinary Hospital!